Looking for a B&B in Valencian Community? 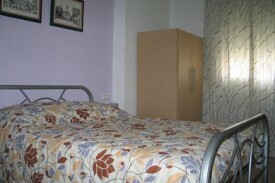 Take a look below for a bed and breakfast in Valencian Community. Change the options on the left-hand side to find more results. asia Atalaya is a child-friendly cozy B & B where animals are welcome. B&B Albufera Perelló is situated in the old part of El Perello. 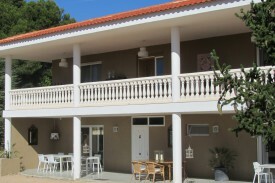 The recent renovated house lies in a quiet part of the village at 300 m from the beach. Cozy B & B family atmosphere! Airport pickup, guided tour of the city, mediterranean breakfast and friendly service. A charming luxury BB in Jalon (Costa Blanca), only 15 minutes away from the beaches. 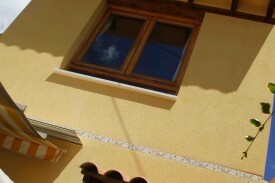 Our villa Arco Iris provides excellent accommodation in the Jalon Valley for your holiday in Spain. Our Bed and Breakfast with a home from home style! 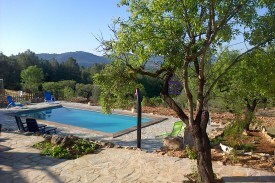 Wonderful Finca situated in Benitachell, 5 km from Moraira port and 7 km to Javea beach. Very quiet situation with outstanding view to the sea.